We know, it is the little things that make a difference. At Fleet Feet Sports, you will find a wide variety of accessories including sunglasses, heart rate monitors and watches, reflective tools, myofascial massage/stretching products, hats, gloves, and so much more. 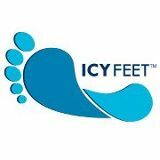 We also have a number of items that will help prevent and/or treat common running and walking injuries like plantar fasciitis and Achilles/Knee pain.